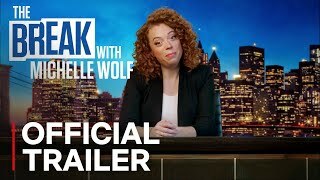 Michelle touches on the latest with North Korea, unveils a new snack just for men and sorts out strong feelings with special guest Hannibal Buress. 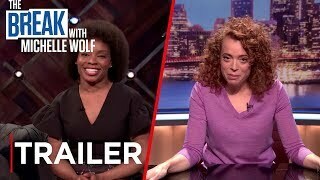 Michelle riffs on the headlines, delivers overdue apologies with a sultry twist and visits the eclectic fellow behind The New York Times opinion page. 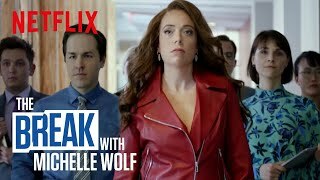 Currently you are able to watch "The Break with Michelle Wolf" streaming on Netflix.